Founded by Dr. Ira Stone in 1995, Stone Veterinary Hospital in Watertown, CT bridges the gap between conventional and alternative medicine. Using a holistic approach that is attuned to your pet's needs, we treat a broad range of medical conditions that are not always responsive to conventional veterinary therapy alone. We strongly believe that when pets receive integrated, wellness-focused veterinary care, along with a loving home, they have the best chance of living a long and happy life. Veterinary medicine has become very good at diagnosing and treating disease, but these tools are enhanced when complemented by alternative healing techniques including acupuncture, chiropractic, herbal remedies, and nutritional care. We not only examine and treat your pet's body, but we care for your whole pet, taking into account all of the variables that influence his / her physical health and well-being. 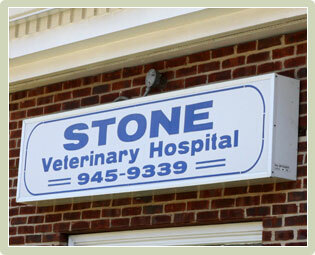 With our focus on both traditional and alternative veterinary medicine, Stone Veterinary Hospital offers a unique approach to your pet's long-term health and wellness. We incorporate modern, state-of-the-art technology, exam rooms, surgical suite, diagnostics, and an in-house laboratory, with complementary therapies and natural approaches to healing, into a facility that promotes a calm, welcoming atmosphere for our clients and their pets. In order to provide such a comprehensive approach to veterinary wellness for the benefit of your pet, we place great importance on hiring only the most highly trained and compassionate veterinary technicians and nurses. Each member of our medical team supports alternative veterinary medicine, which is an important part of our practice. Every staff member at Stone Veterinary Hospital undergoes continuing education and new employees participate in a structured training program. 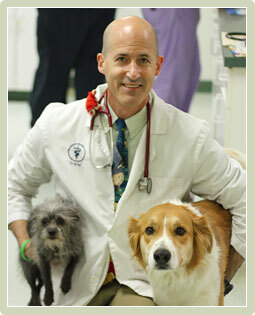 An important part of our commitment to the health of your pet is our relationship with you, the pet owner. We recognize that providing the highest quality veterinary care possible includes keeping you at the center of all we do. For that reason, we work closely with you to understand your pet's unique health needs, develop a customized wellness plan, and ensure you have the knowledge required to be a responsible, loving caregiver to your pet. It is our goal not just to ensure the health and well-being of your pet, but to be your partner in strengthening the bond you share with your companion. Please take a look at our website. Many of the services we provide are listed along with information about our veterinarians, veterinary technicians, and administrative staff. If you have any questions or would like to schedule an appointment, please call us at (860) 945-9339.